I've been a long time user of Seatguru.com. Their recently launched iPhone app takes that experience to your mobile device and even adds more. 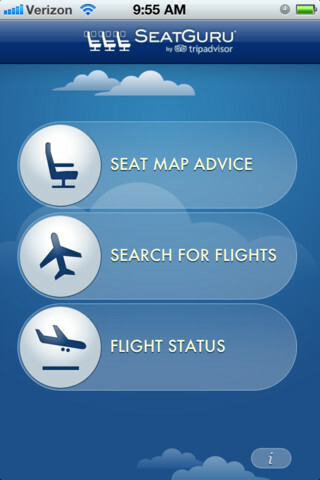 With the SeatGuru app by TripAdvisor you get easy access to 700 seat maps, featuring advice and insights created by over 35,000 passenger reviews, all conveniently displayed on your mobile device. 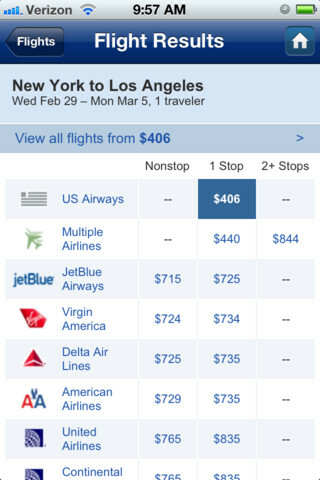 All you need to do is put in your airline and flight number and the app will tell you which seats on that specific plane are the best and which ones to avoid. So before you get on the plane you can easily know what seats have more legroom, a power outlet, which seats are near the lavatories, etc... 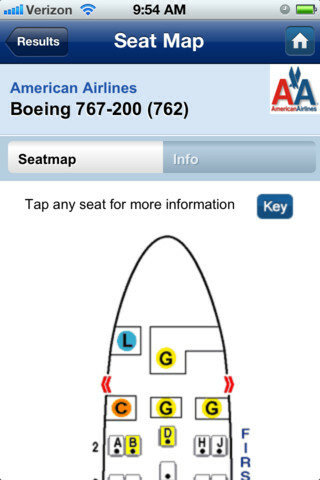 The app has information about pretty much any airline, flight, and every imaginable plane layout. 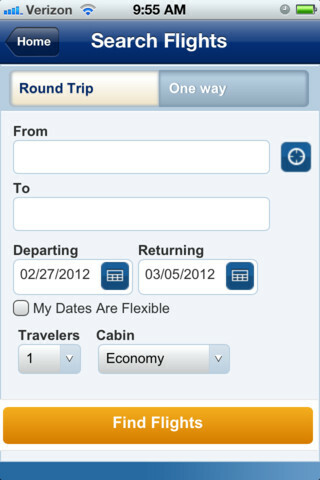 As a frequent flyer, this information at your fingertips is invaluable. Actually, even if you only fly occasionally, it's great to have this available so that you can make your flight more enjoyable. TripAdvisor added even more great stuff to make this app more useful: the app gives you a flight search engine and real time flight status alerts. This really helps you (or your loved ones) stay informed about any flight changes, delays, or cancellations. The one caveat I have about this app is that the first screen you see is a bit weird to use. For some reason they decided to create a slide interface where you need to slide a button for the option you want to choose. It was hard to understand at first but once I did it was no problem to work. SeatGuru by TripAdvisor is even free.